Compared to the local average, the Morrison Home Team’s homes averaged 30% fewer days on the market with a 1% higher list-to-sale ratio. We are an experienced team of real estate brokers and agents committed to helping you sell your home or find the home of your dreams. If you are in the process of selling a house or buying a house, contact John Morrison today at 847-409-0297. John Morrison and his team of real estate agents have extensive real estate experience and an advantageous knowledge of Chicago’s northwest suburb communities. Whether you are buying or selling a house, the Morrison Home Team provides years of insight and offers priceless guidance. Read the Northwest Herald’s recent article featuring John Morrison. As a previous RE/MAX agent, John had the honor of being RE/MAX’s 2012 #1 Real Estate Agent for the entire state of Illinois! Additionally, we have been ranked as the top Real Estate Brokers in Barrington for closed volume since 2010! We take pride in our accomplishments and in leveraging our real estate expertise to help you! The goal of our real estate broker and agents is to familiarize you with Chicagoland’s northwest suburban communities, including neighborhoods within the town, schools, commuting options, current market trends, and all of your options in the home buying/selling process so that you can make informed real estate decisions. If you are poring over homes for sale but having no luck, let the Morrison Home Team help! Our real estate brokers utilize their experience and community knowledge to help find the perfect home for you. 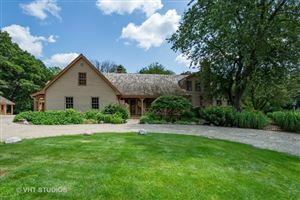 Ready to find your dream home within the Northwest Suburbs of Chicago and the Barrington, Illinois area? Call us today — 847-409-0297.